If we had to sum ourselves up in one verse of scripture, it would be Psalm 96 verse 1, as quoted on the Home Page. This verse neatly summarises theREIGN’s vision, which is simply to get out there and sing the songs that He has given us … for His glory. It guides everything that theREIGN does, and underpins our reason for making music together. It also provided the title for both our debut album in 2003, and our 2011 live recording. In seeking to carry out this vision, we feel called to take our music out in a number of ways, and He has provided us with the tools to do this. Firstly, in leading worship. The band originally came together to assist lead singer David Cooper in putting together his second album of worship songs and, with David’s personal calling as a Worship Leader, it was not hard to see God calling us to this service as a group. Secondly, in performance. Using a combination of David’s original Praise & Worship songs, his more performance related material and a smattering of popular secular songs, theREIGN can put themselves in front of any type of audience with the knowledge that God is able to use our music to reach out and touch people’s lives. 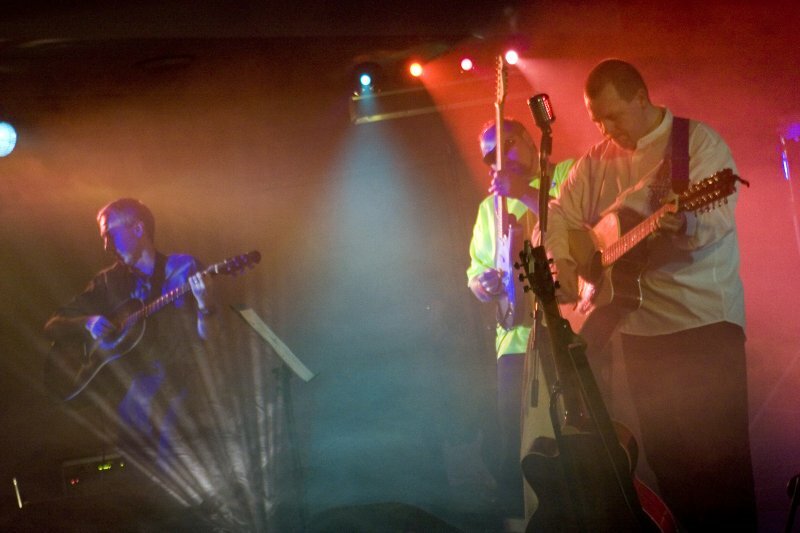 The band are very skilled at gearing the music that we play to the audience/service, using a great deal of our own original material, along with songs by well known worship leaders, such as Martin Smith, Matt Redman and Chris Tomlin, some traditional hymns, and a smattering of secular covers where appropriate. If you are interested in theREIGN putting on a show for your event, or leading worship in your church, just drop us an e-mail or submit the Form on the Contact page. We look forward to hearing from you. Open the boxes below for further information and background about the band. Firstly, it must glorify the Lord and be scripturally and spiritually sound. This doesn’t necessarily mean that every song has to directly reference God, Jesus or the Holy Spirit, or even directly address issues of a solely Christian or spiritual nature. What it does mean, however, is that every song must reflect the band’s heart for worship, and enshrine values and desires in accordance with living our lives for the glory of Jesus. Secondly it must be good music, by which we mean it must be good to listen to, tap your feet to and sing along with. We are not satisfied with knowing that we are doing this for the right reasons, and following Christ’s call on our lives. He demands that we give of our best in everything that we do, so we strive to take a professional approach in all things so that the music we make is of the highest quality, be it live or recorded. It is also important to us that we do not alienate anyone. Our music must stand up on its own strengths regardless of whether any, all or some of the audience share (or even sympathise with) our Christian faith. Music has a way of conveying emotion and spirituality through the way it sounds and feels, whether you understand, agree with or believe in the content of the lyrics or not and, for this reason, theREIGN looks on its music as an entry point to the Christian faith – expressing the heart and spirit of the gospel message of Jesus Christ in a way that will (at the very least) entertain and uplift the listener and, ideally, have them leave a concert, or turn off a CD, having seen some small vision of what it means to worship the Lord Jesus Christ. theREIGN have performed concerts across the City of Hull and beyond, and have a particular gift in outreach, especially among young people. Over the years, we have taken our music as far afield as London, Warrington, Witham in Essex and Torquay in Devon, as well as performing a successful set at Greenbelt 2007, and one of our most successful offerings is a combined Saturday evening concert (generally aimed at young people) followed by our leading worship for the church itself on Sunday Morning. Every member of theREIGN is involved with leading worship in their own church and, with several decades of experience in worship leading between us, we love nothing more than the opportunity to worship with others. Lead singer David Cooper is an experienced leader in his own right, most recently leading worship for an international mission agency conference in Spain. 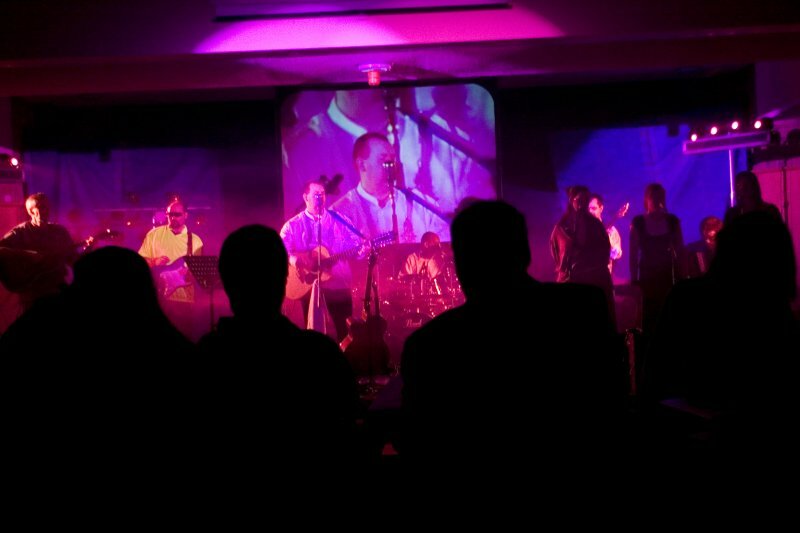 In recent years, theREIGN have also been privileged to join the official worship programme for the Greenbelt Festival, leading a late night Rock Eucharist event on the opening night of the festival. 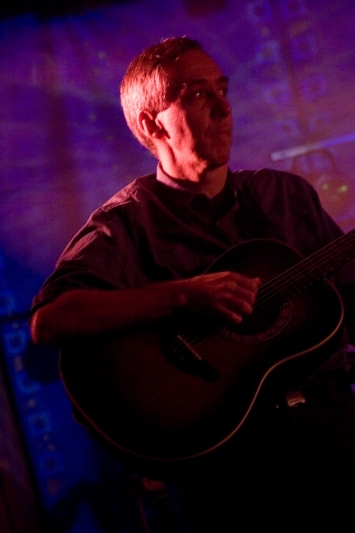 Following the relative success of his debut solo CD, I Will Follow in 2001, David Cooper decided that he needed a proper band, containing real, live musicians in order to make the follow-up even better and, with that in mind, he spent the early part of 2002 gathering together musicians wherever he went. 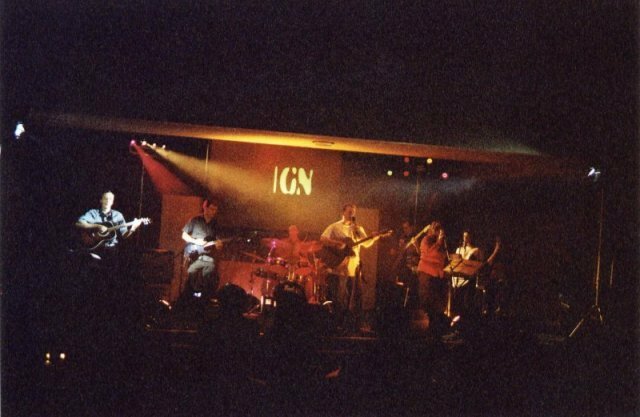 By August of that year, the original lineup was complete: David himself (Lead vocals & Acoustic Guitar), Ivan Carruthers (Drums), John Osbourne (Bass Guitar), Dave Keegan (Electric Guitar), Kathryn Cooper (Piano), Phil Gray (Acoustic Guitar), Helen Webber (Violin), Jo Fussey and Debbie Simpson (Vocals). At the start, the idea was that this group would do nothing but assist David in recording his new CD, but as soon as we all stood in the same room at the same time with our instruments, the ease with which we played with each other and the shared vision we all had for our music made it quite obvious that God had other plans. 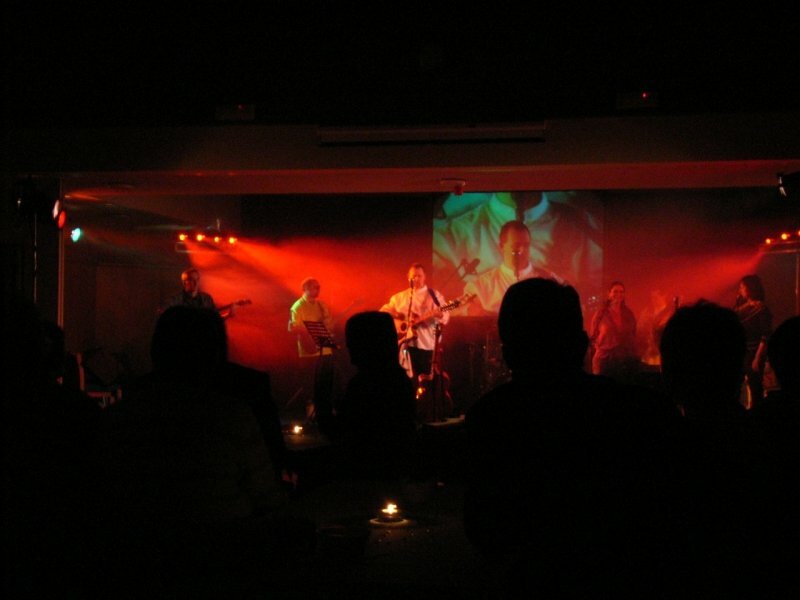 So, on 1 November 2002, the band made its live debut (named only The Dave Cooper Band at that point) supporting Geoff Howlett and Wild Honey in the Upper Room at The Haworth Arms pub in Hull. This was followed on 1 February 2003 with theREIGN’s full, official debut at Kingston Wesley Methodist Church in East Hull. Further concerts followed at Sutton Methodist Church and St Barnabas Church, Swanland in early Summer, followed by the release of Sing in September, after almost 10 months in the making. 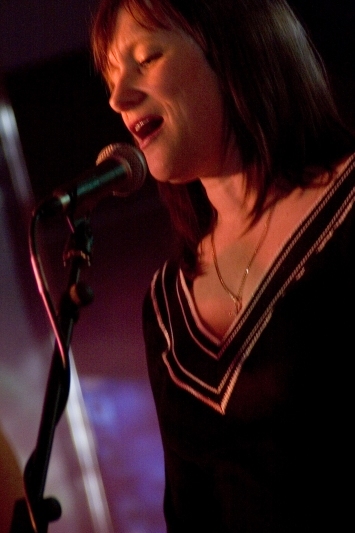 During 2003, Helen and Jo both moved to pastures new, but in early 2004 Simon Reeves took over on piano, freeing Kathryn to concentrate on vocals. 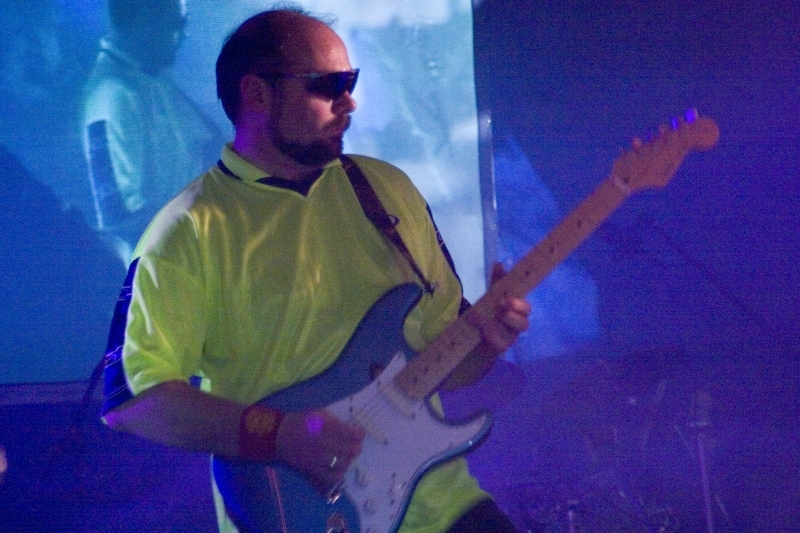 2004 was a weird year for the band, with David suffering a serious eye injury in October, at the same time as an unofficial hiatus was forced on them by the involvement of several members in another project. 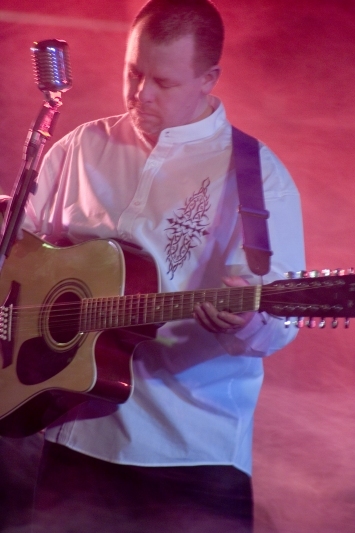 Serious prayer ensued over the future of the band, and at the windup of the other project in early 2005, Dave Keegan and Debbie Simpson both left the band, to be replaced by Paul Ganney on Electric Guitar and Barbara Osbourne and Jemma Phillipson on Vocals. 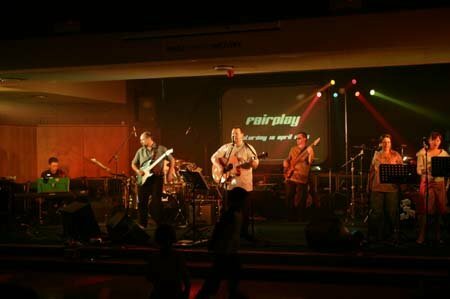 2005 featured some true highlights of the band’s journey to date, with the disappointment of missing out on our planned festival debut in July (due to the cancellation of the whole event) more than tempered by invitations to play at youth events in Witham, Essex and Torquay, Devon. These trips helped to bind us together as a group of musicians and Christians, and enabled the band to truly spread its wings. As 2006 opened, we had made the decision to finally record a follow-up to Sing and God’s timing came to the fore once again. Long-serving (or should that be suffering?) sound engineer, Dave Cartwright needed a project for his final year at the University of Lincoln, and our new album was thought to be a perfect choice. Kingston Wesley was also in the process of building a recording studio which could be used for this purpose. And so, between early February and mid-April, Dave and the band worked very, VERY hard recording and putting together Where Jesus Touches The Earth, released in June. At the end of recording, Simon stepped down from his position behind the piano, and Kathryn slotted in there once again. August 2006 saw theREIGN make their (delayed) festival debut at the Daddy of them all (Greenbelt), with a successful Monday morning slot in front of over 200 people. That performance led to an invitation to return as part of the formal worship programme in 2007, which saw the band join forces with local Minister Revd Rachel Ganney to debut their brand new Rock Eucharist for a crowd/congregation of around 140 people at half past midnight using a combination of their own material, some popular worship songs and a little Nirvana, Queen and Fleetwood Mac. 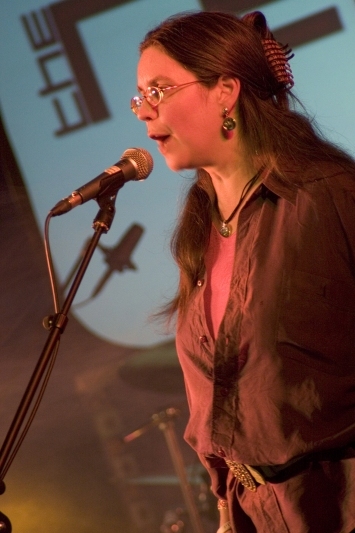 The success of the the event at Greenbelt 2007 led to an invitation to return with another event in 2008 and version 2 was another roaring success late on opening night with an estimated 250 in attendance. Following further successful events in the Hull area, the band began to offer two seasons of RE events in the Autumn and Spring of each year, taking them as far away as Warrington and London as well as serving a number of churches in Hull and East Yorkshire. 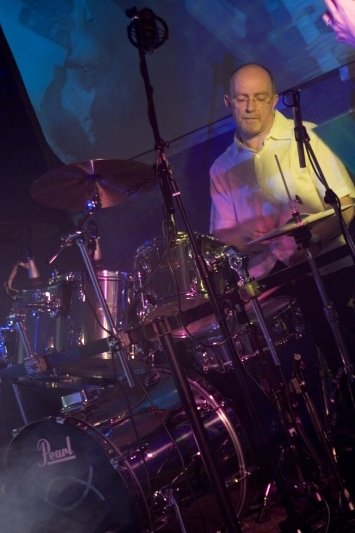 Towards the end of 2009 original drummer Ivan Carruthers stepped down from the skins to concentrate on his training as a reader in the Church of England, and he was soon replaced by Kev Sargeson, like Paul Ganney a long-standing member of Hull’s Christian music. Through 2010 a series of lineup changes became inevitable as first Paul and Rachel’s and then Kev’s careers took them to London. Rachel was the first to be replaced, with Revd Andy Simpson taking over the reins for the Rock Eucharist events during Autumn 2010 and there followed a lengthy transition during which Paul and Kev agreed to stick around and play for a while. 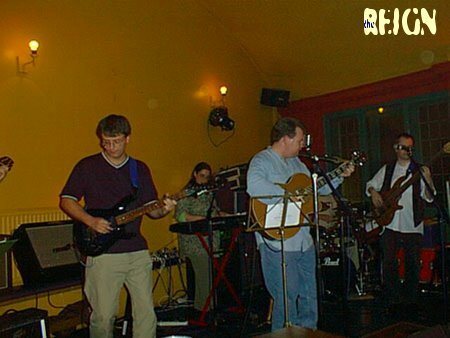 Paul was eventually replaced by Rob Peirson, a young guitarist involved with the local SPARK youth event, and Kev by Simon Redfern, a not-quite-so-young stalwart of the local Christian music scene. 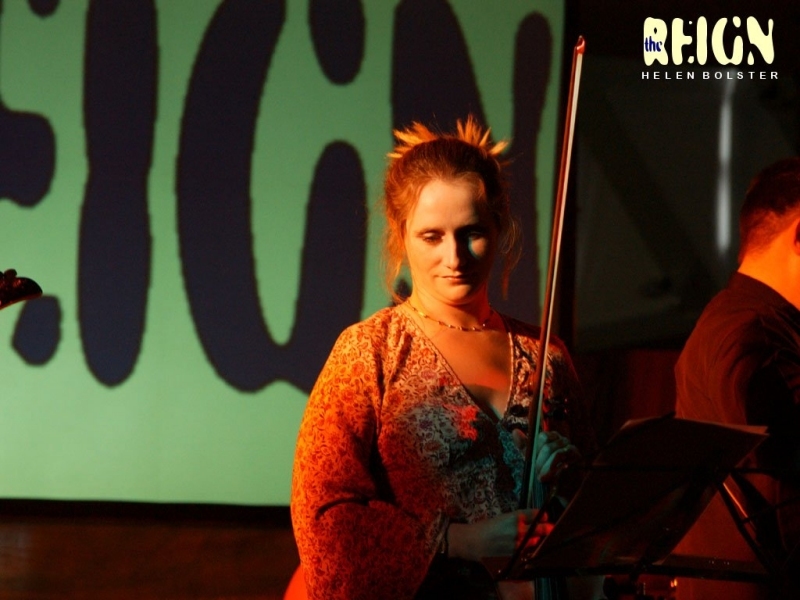 In addition, Bethany Cooper joined the lineup as vocalist in September 2010 and Richard Fuller took over piano and keyboard duties in time for the Spring 2011 season of Rock Eucharists, once again freeing Kathryn to concentrate on her preferred vocals. 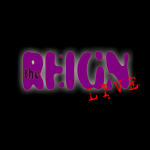 Over the years, theREIGN’s lineup has changed on a fairly regular basis, and we have been blessed to count among our number some very talented musicians and songwriters. In spite of the changes, four of the original nine members remain with the band, and committed to our vision to share the good news of Jesus Christ through our music. The current lineup is drawn from several churches. theREIGN was formed when David gathered some real, live musicians to produce the sound he had in his head when writing songs. 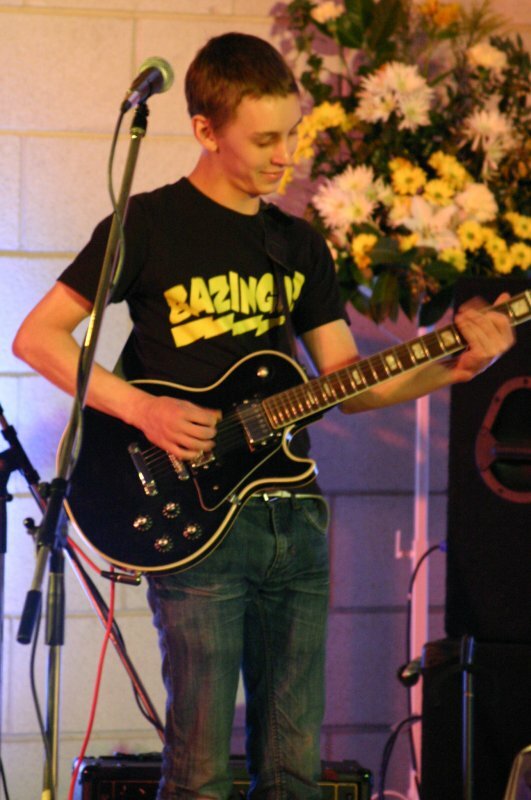 Since then he has been singer, songwriter, worship leader, guitar player, administrator and general dogsbody. 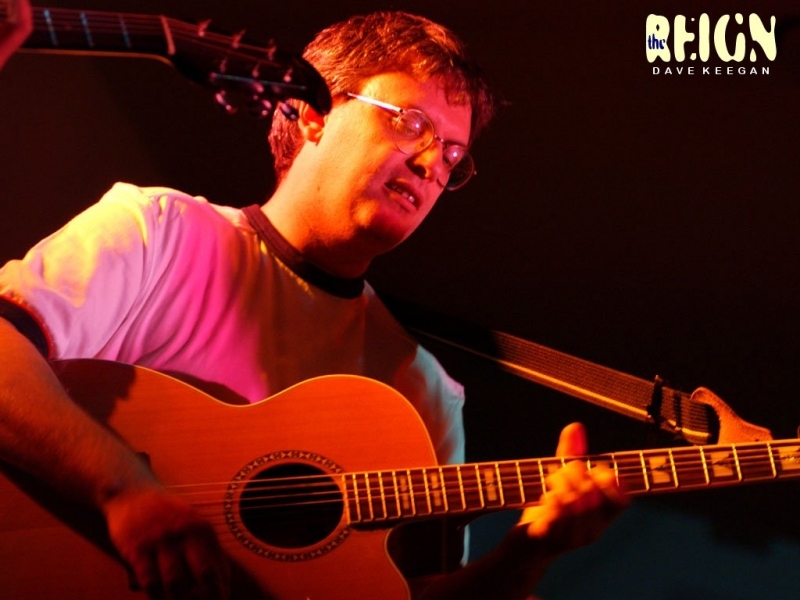 Simon brings with him a wealth of experience in leading worship as well as playing with local duo Living Hope. Simon also once played with a scratch version of theREIGN many, many moons ago. 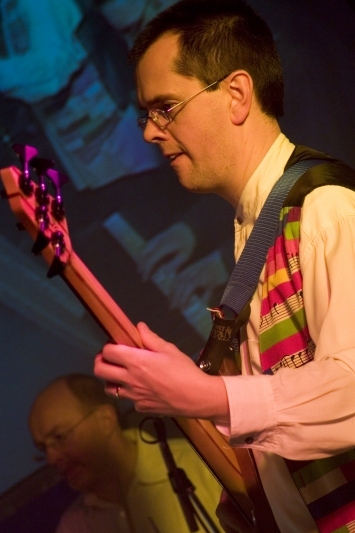 John has also been with theREIGN from day one, and brings with him an immense amount of experience across a range of instruments and he continues to play traditional jazz, as well as leading worship at St Aidan’s Church in Hull. 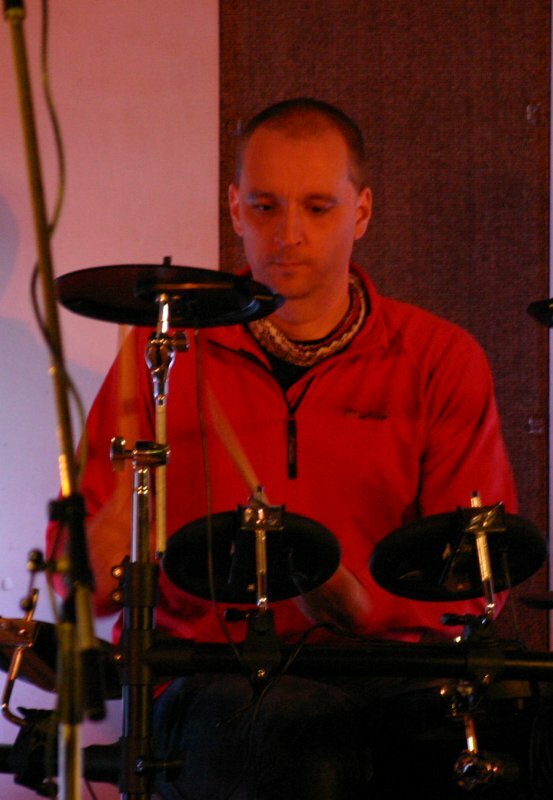 As well as being a member of his local church worship team in Cherry Burton, Rob has been helping to lead the band for the local, monthly youth worship event, SPARK. Phil’s musical relationship with David stretches back to his solo debut in 2001 and beyond. His background is almost exclusively in worship and his delicate, finger-picking style is much admired both within theREIGN and without. 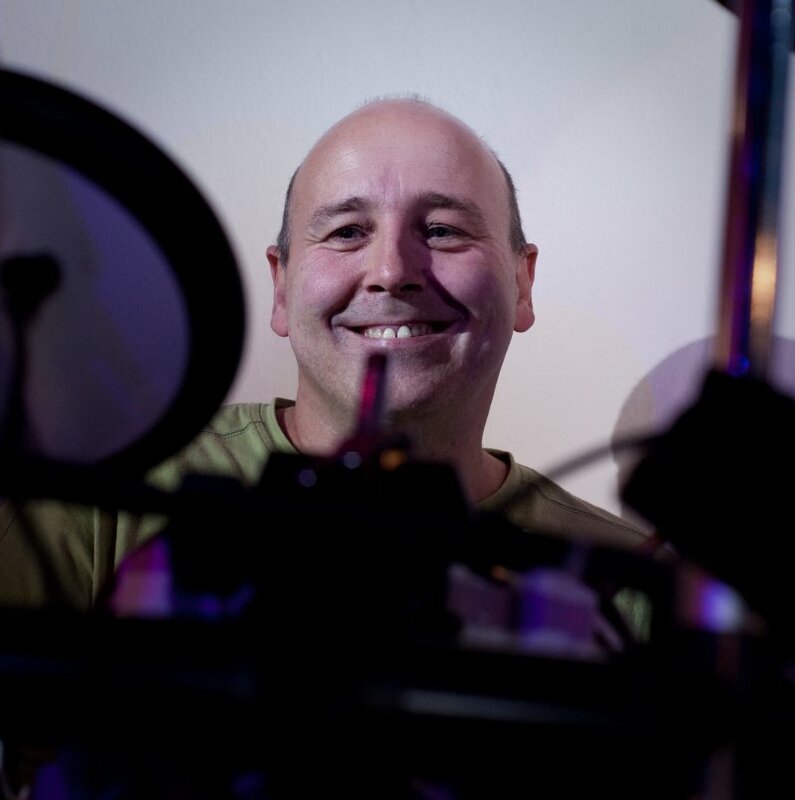 Richard brings with him a massive repertoire of skills on piano and keyboard and has made a real difference to the sound and feel of theREIGN’s music. 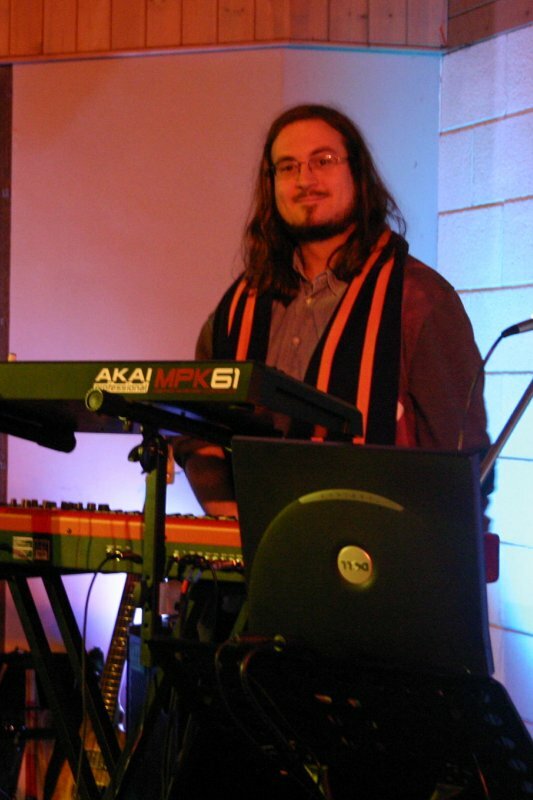 He is also leader of the worship team at St Martin’s Church in Seamer. Kathryn’s strong and versatile voice has drawn much favourable comment over the years for her work with theREIGN as well as in musical theatre, choirs and beyond. She is also a nifty ivory-tinkler. 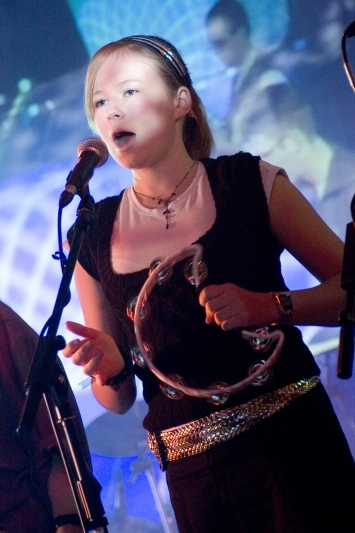 Barbara joined theREIGN in 2005 and adds depth to the band’s full, harmonised vocal sound. She also combines her work with theREIGN with her involvement in musical theatre, often joining Kathryn on stage. 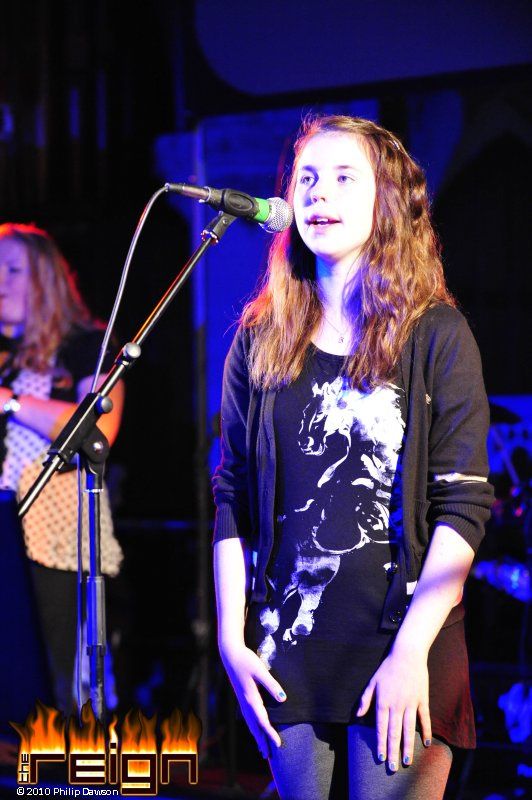 Bethany cut her teeth singing with the City of Hull Youth Choir, including a tour of Croatia in Summer 2010. She also plays trombone and has already used this to give some colour to the opening of RE4.